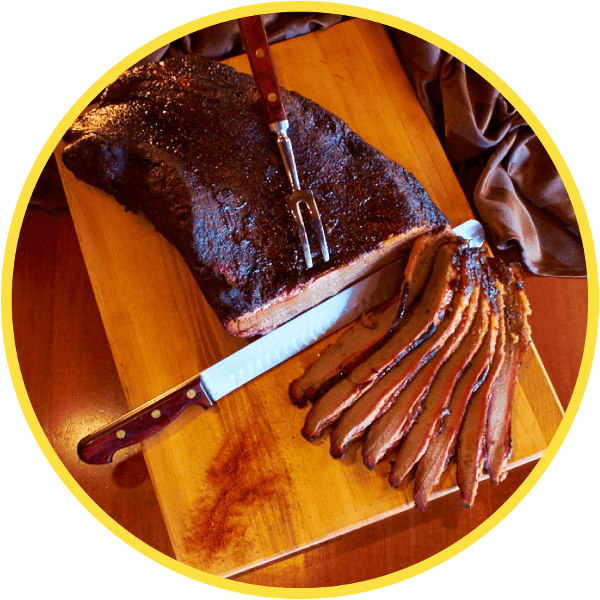 Join us for authentic slow-smoked barbecue meats, homemade side dishes, soups and desserts. Dine in, order something to go, or call us to cater an event for you. We Can Cater Your Next Party! 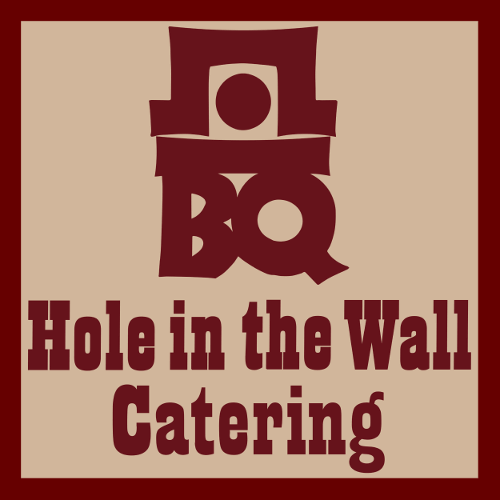 Hole in the Wall loves providing great food for special occasions like yours; and we are known for our outstanding slow-smoked barbecue meats, homemade side dishes, uncompromising serving personnel and fair prices. All of our companion dishes are created in our kitchen; from hand chopping our potatoes for the creamy dill potato salad to soaking our pinto beans overnight for our sweet barbecue beans and award-winning chili. Driven by our own cravings for good barbecue -- not easily satisfied in Eugene at the time -- Hole in the Wall Barbecue was established in Eugene, Oregon in 1993. 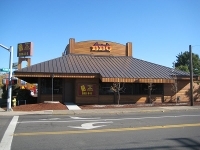 We've since expanded, with a second restaurant in Springfield and a state-wide catering service. 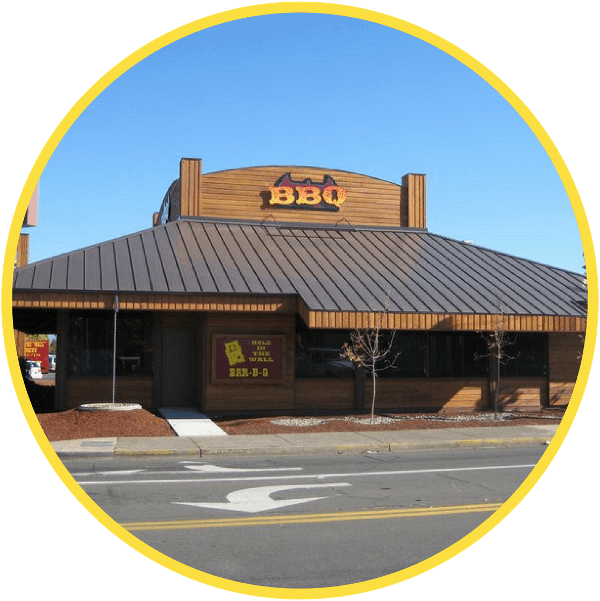 Driven by our own cravings for good barbecue -- not easily satisfied in Eugene at the time -- Hole in the Wall Barbecue was established in Eugene, Oregon in 1993. 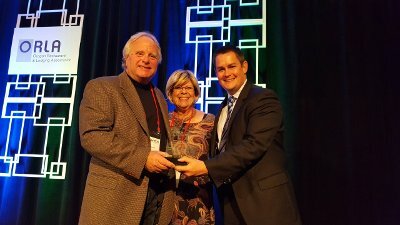 We've since expanded, with a second restaurant in Springfield and a state-wide catering operation. 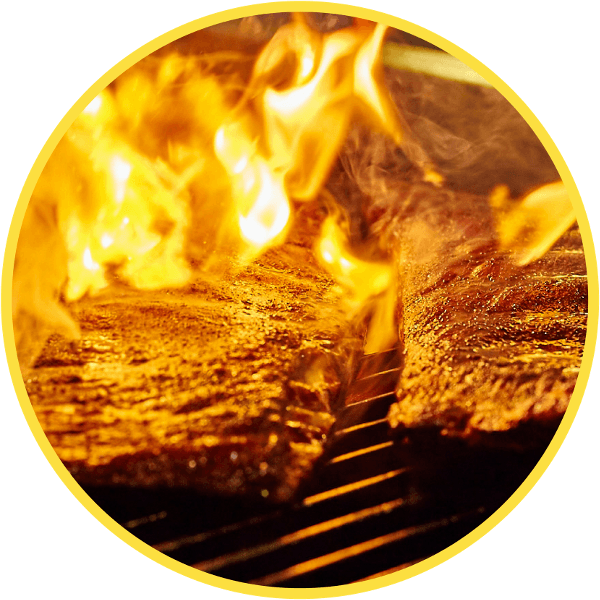 We start with the freshest meats to assure that we are serving you the best meal available. 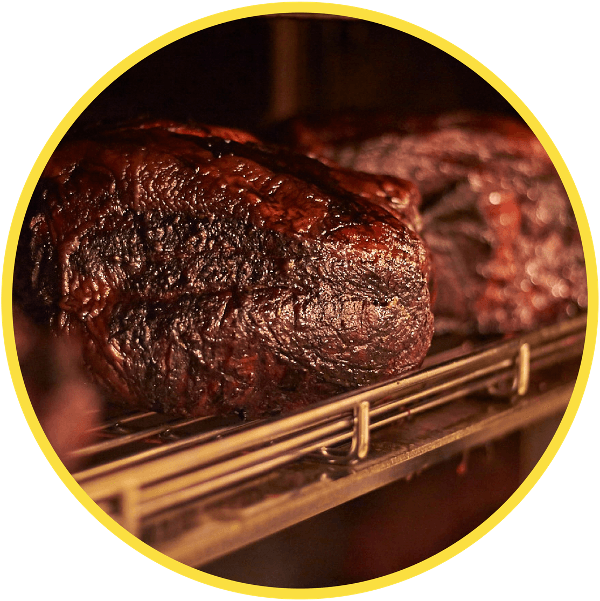 Our beef, pork and turkey are carefully smoked for 18 hours at a low temperature to achieve their tenderness and flavor. Our ribs are dry rubbed and slow smoked for that real barbecue taste. And don’t be worried if our smoked chicken is pink. It’s not embarrassed or under-cooked; it’s because we slow smoke our meats over real hardwood that gives the meat a rosy cast. Just give that drumstick a shake: it’s done! In August of 1992, we moved from Arizona back to Oregon where we grew up. One of the things we brought with us was a hankering for good barbecue, which we were unable to find in Eugene. In order to satisfy our barbecue cravings, we decided to open our own restaurant. On July 1,1993, we signed the papers on the property at 3200 W. 11th in Eugene. Our lives, as we knew them, changed forever; and so did the existing building. We renovated, changed the entrance, scrubbed, painted, carpeted, re-tiled - and scrubbed!! On August 2, 1993, we officially opened our door for business. To start, we were only open Monday through Friday, 11:00 am to 2:00 pm. Our menu was limited to three sandwiches, chili, BBQ beans, potato salad and coleslaw - all made from scratch. The business was growing and guests kept asking us to extend our hours. So we did! 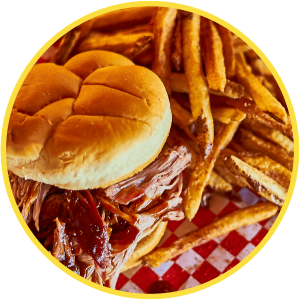 Currently, we are open Monday through Sunday, 11:00am to 8:00pm, and have expanded our menu to include many more homemade Southern favorites. In June of 2008, we opened our second Hole in the Wall in Springfield at 1807 Olympic. In addition to the favorites already enjoyed by folks in Eugene, our Springfield store also boasts Smokehouse Breakfast served 7:00 to 2:00, Sunday Brunch from 9:00 to 2:00, a banquet room capable of seating up to 50 guests, and a full-service lounge. Don't miss our daily specials at both stores, including our famous Smoked Half-Pound Cheese and Bacon Burger, Prime Rib French Dip, Smoked Meatloaf -- just to name a few. In addition to our two restaurants, we have also been catering throughout Oregon for over 15 years, and have two vans for deliveries and four box vans to handle larger full-service caterings. Just look for our maroon and gold trucks!! !